Attempting to rise above the secrets of her past, Bolanle, a university graduate, marries Baba Segi, who promises her everything in exchange for agreeing to become his fourth wife. 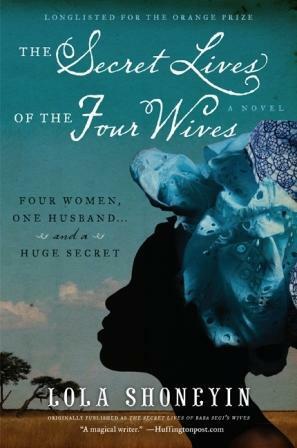 Thus she enters into a polygamous world filled with expensive clothes, a generous monthly allowance…and three Segi wives who disapprove of the newest, youngest, most educated addition to the family. There’s Iya Femi, a fiery vixen with a taste for money; Iya Tope, a shy woman whose kindness is eclipsed by terror; and Iya Segi, the first, most lethal, and merciless of them all. 4/5 stars. I really enjoyed reading each persons point of view on how an addition had effected the family. You also get background information on the characters which help understand how they have become the person they are and the secrets they hold. Leave a comment on this post by Monday, April 30, 2012 at 11:59 p.m. CST to be entered into a drawing to win this book. One person will be chosen randomly using Random.org. I enter names when using Random.org. So please make sure you put a last initial or something to identify you from others. You may receive additional entries by “liking” us on Facebook (A Life in Books), following the blog, and for referrals. You must leave a comment for each item you have done. For referrals make sure who you refers lets me know in their comment that they were referred by you.